Anyone who goes into Jason Mott's THE RETURNED expecting zombies, or a story typical of that subgenre, will be sorely disappointed. Nor would I call it a horror novel. What's here instead, is a beautifully told drama which just so happens to feature as characters people who've come back from the dead. There are no dodgy sci-fi explanations for this, no peculiarly colored comets or spilled barrels of mysterious chemicals--the dead just come back, and they do so looking exactly the same as the day they died. For the most part they are happy, although not oblivious to the strangeness of their return. But rather than focus entirely on The Returned (though I loved the short chapters which singled some of them out), Mott (rather wisely) chooses to focus on us instead, and how we might react should the ones we've loved and lost suddenly return willing to pick up as if no time has passed at all. And considering the vagaries of human emotion, it isn't long before conflict arises. 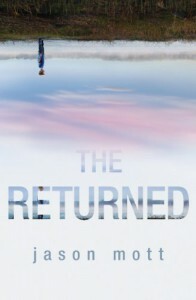 The RETURNED is a beautiful and tragic novel, a mediation on grief and loss and love. Well-plotted, exceptionally well-written, and moving to the point where I'm writing this through misty eyes, I can't recommend Mott's debut highly enough. A powerful and important piece of work.